In four years time, Singapore will play host to the prestigious Asia Masters Athletics Championships. The bid was tabled by SAA General Manager (Acting) and Chief of Sports Development and Performance, James Wong, who presented SAA proposal and interest in hosting the Games. 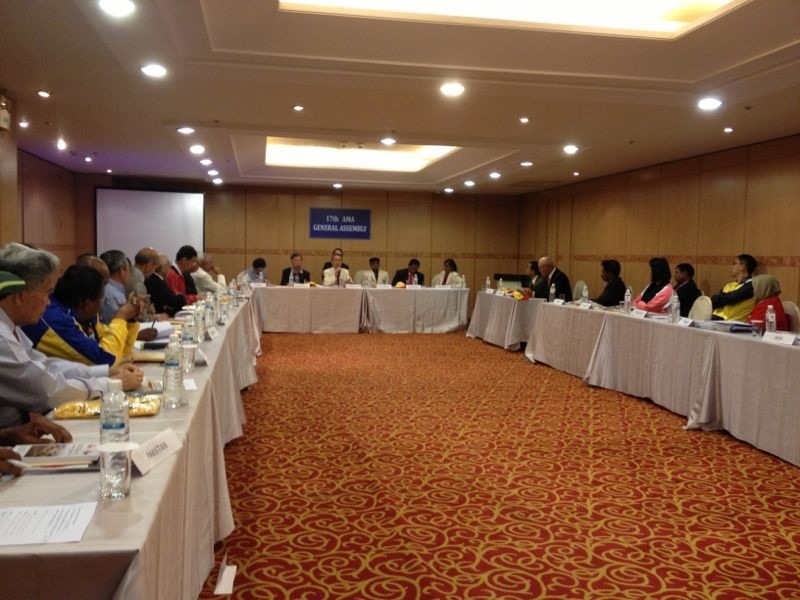 It was successfully approved at the 17th General Assembly by all the member of the Asian Masters Association. The 2016 Asia Masters Athletics Championships would be held at our newly built Singapore Sports Hub, which will feature a 55,000 capacity National Stadium with a retractable roof and is slated to be completed by April 2014.